The following facilities and services are available to researchers at UC Irvine. Please contact the facility manager or service provider from the associated Web page for more information. If you manage a facility or provide a service that you would like to see listed on this Website, please contact Greg Ruth. Established in the summer of 1992, the Arts Media Center comprises the central music reference and technology resource in UCI's Claire Trevor School of the Arts. Come visit our brightly lit, air conditioned facility equipped with CD, phonograph, VHS, DVD, DAT, laserdisc, six-station mac lab, a Dance/AV Room and quiet study and listening areas. The Claire Trevor School of the Arts features a wide variety of computer labs and technical facilities for the creation of digital art and research. Each one has its own function, audience, and flavor. Some are computer classrooms, others are labs for doing homework, and others are for doing research. Some are open to all Claire Trevor School of the Arts students while others may be restricted by department and student status. The Gassmann Electronic Music Studio is a facility for production and pedagogy of electronic, electroacoustic, and computer music, located in the Claire Trevor School of the Arts on the campus of the University of California, Irvine. The studio was made possible by a generous bequest from composer Remi Gassmann, and by funds from the School of the Arts. 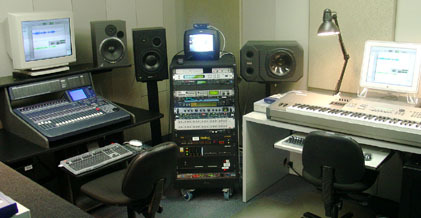 The Gassmann Electronic Music Studio, located in 20 Mesa Arts Building, is a state-of-the-art Macintosh-based studio for digital recording and MIDI composition. High Performance Computing (HPC) resources are available to UCI researchers. HPC resources include facilities at UCI ("HPC" and "Green Planet"), within UC ("ShaRCS Clusters"), and through national super-computing services such the San Diego Supercomputer Center (SDSC) at UCSD, and at other affiliated universities. The School of Biological Sciences owns a High Performance Computing Cluster that includes a 700-core Opteron cluster with 400 Tb of disk space for use of the Biological Sciences faculty and students to supplement the computational pipelines of the Institute of Genomics and Bioinformatics, which handles primary read mapping. Faculty with additional needs can contribute new core nodes and storage space, which can be connected to the computer cluster via an infiniBand switch. The additional storage space is then dedicated specifically to the lab contributing and the queuing system gives first priority to access on the cores nodes you contributed with access to the additional hundreds of cores when idle. The Transgenic Mouse Facility (TMF) is a core facility that provides services on a recharge basis for making, breeding, genotyping, importing, and preserving genetically-modified mice and embryonic stem cells. Advice is currently provided at no charge. 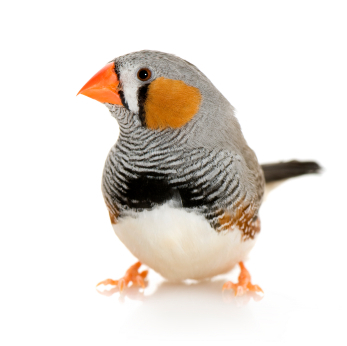 University Laboratory Animal Resources (ULAR) is committed to providing a top quality animal care program that promotes integrity and excellence in research and teaching in the biological and medical sciences. The Stem Cell Core Facility, a key component of the Sue and Bill Gross Stem Cell Research Center, provides stem cell technology and resources to the UCI, Orange County and Southern California research communities. These include developmental and molecular genetics, cell culture and cell sorting, imaging, high-throughput platforms, and bioinformatics. 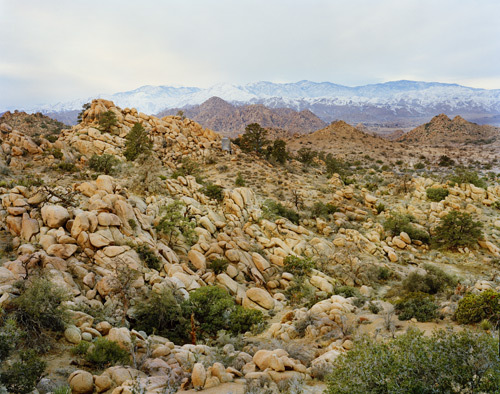 Set in the Morongo Basin of the western Mojave Desert, the Burns Piñon Ridge Reserve is a dry, boulder-strewn landscape of shallow canyons and ridges of sculptured granite. 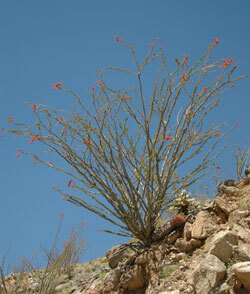 Three floristic regions meet at the site: Transverse Range, Sonoran Desert, and Mojave Desert, creating a diverse mixture of flora and fauna characteristic of both deserts and mountains. Habitats intermingling at the reserve include piñon-juniper woodland with elements of Joshua tree woodland and montane chaparral, desert wash, and freshwater seep. At least 153 vertebrate species cross paths here, including desert and coast horned lizards, desert and dusky-footed woodrats, mountain and Gambel's quail, and three rare species: Townsend's western big-eared bat, California mastiff bat, and the federally and state-threatened desert tortoise. Research opportunities are enriched by other natural lands throughout the desert, such as the Joshua Tree National Park a few miles away. Two other NRS reserves for desert research are the Philip L. Boyd Deep Canyon Desert Research Center, less than an hour's drive to the south, and the Jack and Marilyn Sweeney Granite Mountains Desert Research Center, two and one-half hours to the east. Burns Piñon Ridge Reserve is one of three UC Irvine Natural Reserve Facilities used frequently for both research and teaching. The Burns Reserve is located in San Bernardino County, 1.2 miles north of Yucca Valley. Field courses include desert ecology, field zoology methods, natural history, biology of deserts, field ecology, botany, environmental ethics, freshwater biology, and others. The San Joaquin Marsh Reserve represents one of the last remnants of wetlands that once covered much of Orange County's flood plain. Located in an ancient river-cut channel at the head of Newport Bay, the reserve supports a variety of wetland habitats, including marshlands, shallow ponds, and channels confined by earthen dikes. Dry upland habitats with a remnant coastal sage scrub community rise on the margins of the reserve. The marsh is a critical stopping place for 100 migratory bird species using the Pacific Flyway. 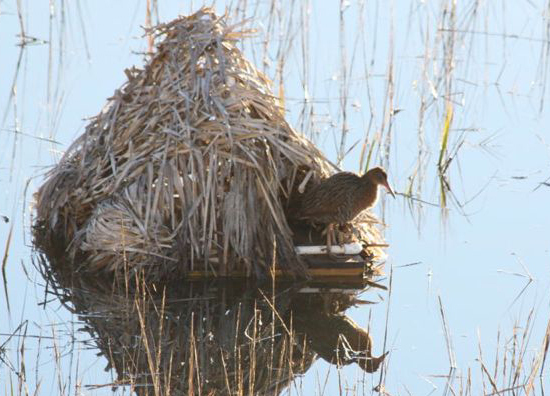 Altogether, more than 200 bird species (20 nesting) have been sighted in the reserve, including two resident endangered bird species: the light-footed clapper rail and the California least tern. The marsh is located within a ten-minute walk from UC Irvine, making it convenient for day use by faculty and numerous students. At 615,000 acres, Anza-Borrego Desert State Park is the largest state park in California and one of the largest desert protected areas in the west. Located in the eastern half of San Diego County, the park extends roughly 25 miles east to west and 50 miles north to south. The Steele/Burnand Anza-Borrego Desert Research Center, housed in a former country club, is located adjacent to the park in the town of Borrego Springs. An agreement with Anza-Borrego Desert State Park and the Anza-Borrego Foundation makes the park available to reserve users. The Optical Biology Center is a Shared Resource Facility to provide researchers access to resources, including state of the art instrumentation and technical support, to conduct biomedical research. Director: J. Lawrence Marsh, Ph.D. 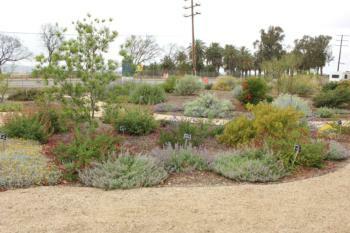 The UCI Arboretum is a 12.5-acre botanic garden and research facility administered by the School of Biological Sciences. The Arboretum hosts a diversity of research projects conducted by undergraduate and graduate students, post-doctoral scholars and faculty. The main purpose of NCC is to coordinate the land management, monitoring and research with our partners across the nearly 38,000 acre Reserve System. Until 2014, the organization was known as Nature Reserve of Orange County. The Reserve System is a permanently protected open space which is managed for the benefit of plants and wildlife that define the character, uniqueness and natural diversity of Orange County. Uses that are consistent with habitat and wildlife conservation are allowed. Compatible public access is welcome on most lands within the Reserve. The UC Natural Reserve System is a network of protected natural areas throughout California. Its 38 sites include more than 750,000 acres, making it the largest university-administered reserve system in the world. Most major state ecosystems are represented, from coastal tidepools to inland deserts, and lush wetlands to Sierra Nevada forests. The reserves also serve as a gateway to more than a million acres of public lands. Founded in 1965 to provide undisturbed environments for research, education, and public service, the Natural Reserve System contributes to the understanding and wise stewardship of the earth. UCI in partnership with the Crystal Cove Alliance supports the Crystal Cove research facility for use in small-scale and low-impact scientific research. Crystal Cove State Park is one of the most popular parks in the California State Park System and is located in the Newport Coast area less than 10 miles from the UCI campus. The park has over 3 miles of sandy beaches and rocky tide pools, an 1,100 acre underwater park and marine Conservation Area, 400 acres of coastal bluffs, 2,400 acres of hillside canyons, and some of the most spectacular land and scenery in Southern California. The park is designated as both a National Natural Landmark and a California Natural Landmark. The park also contains the Crystal Cove Historic District, a National Register of Historic Places site, with forty six seaside beach cottages that are being preserved and renovated for approved uses including public lodging rentals, educational visitor centers, beachfront dining, and park operational support. Cottages supporting education include a visitor center, cultural center, exhibit facility, outdoor commons area, house museum, and the Park and Marine Research Facility. The South Coast Research and Extension Center (South Coast REC) was established by the University of California in 1956 as a representative site for agricultural and horticultural research in California's south coastal plain-temperate climatic zone. Located on 200 acres of deep, moderately sloped, alluvial fan soil, the Center and its mild winter climate are conducive to farming a wide range of crops including subtropicals as well as ornamentals for the urban landscape. The UCI Ecological Preserve is a 60 acre site on the southern edge of the campus located adjacent University Hills, the Irvine Research Park, and the San Joaquin Transportation Corridor. It is a part of the UCI main campus and is managed by the UCI Office of Natural Reserves for the School of Biological Sciences. The Preserve is enrolled in the Nature Reserve of Orange County. The UCI Greenhouse is a 9,000-square-foot growth facility that supports teaching and research needs for the School of Biological Sciences. The Greenhouse is divided into 15 growth areas that are individually programmable for temperature. Greenhouse Staff provides watering, pest management, and basic maintenance for plants used in research and teaching. Additional facilities include common-use lab space, a lath house adjacent to the Greenhouse for plants requiring ambient conditions, an autoclave for soil sterilization, and storage space for greenhouse supplies, which are provided by investigators. Limited environmental growth chamber space is also available. Featuring an 800 MHz NMR, EPR and Biacore SPR The 800 MHz NMR spectrometer (1394 Natural Sciences I) can detect proton, carbon and nitrogen signals and is equipped with hardware optimized for biomolecular applications. The Biacore 300 instrument (1304 Natural Sciences I) can measure docking interactions and binding affinity between biomolecules. 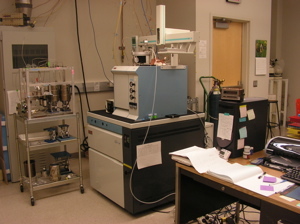 The UC Irvine IRMS Facility in the School of Physical Sciences and the School of Biological Sciences houses a variety of instrumentation to prepare and analyze gases, organic matter, inorganic samples, and water for stable isotope analysis. 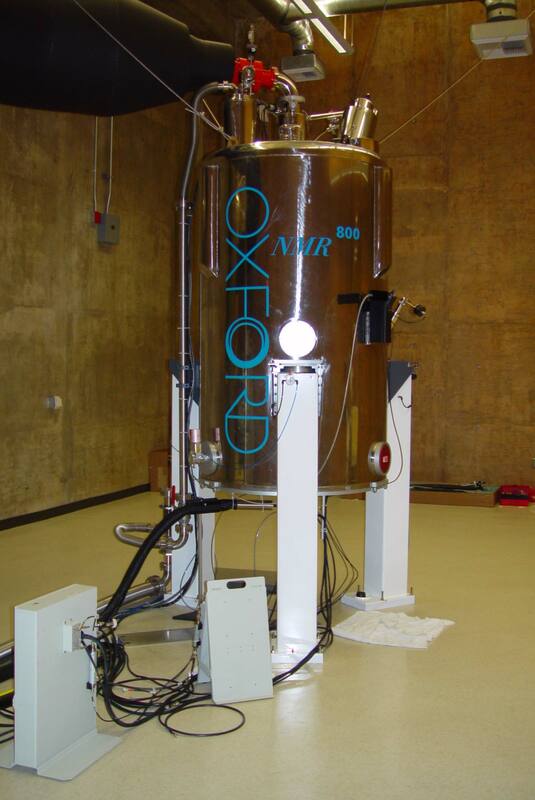 IRMS are used to measure the ratio of rare, heavy isotopes to common, light isotopes. There are five IRMS at UC Irvine to measure stable isotope ratios of the light elements: Carbon, Nitrogen, Oxygen, and Hydrogen. The facility is located in the Department of Earth System Science. The CVR Recharge Unit A recharge is the assessment and collection of a charge by one University department/unit/activity/project for goods or services, furnished to another University department/unit/activity/project. A recharge transaction is appropriate when the furnishing department has incurred expense to make available a product or service which is sold to customer departments for an established price, or at a price based on an established standard pricing method. The Biological Electron Microscopy Facility provides technical support for planning and executing studies involving electron microscopy of biological material. The EM suite is equipped with a JEOL-JEM1400 electron microscope with digital camera and an ultra-microtome for specimen preparation. Technical services are available for specimen preparation, design of unbiased sampling procedures, operation of the electron microscope and interpretation of biological ultrastructure. The facility is overseen by Dr. Oswald Steward and is managed by Ms. Ilse Sears-Kraxberger. Pathology Research Services Core Facility provides UC Irvine Health researchers with dependable and economical assistance in obtaining and analyzing human tissue, blood and serum samples. The core facility leverages the existing professional expertise and technical resources available in the facility Department of Pathology & Laboratory Medicine's various clinical laboratories. The Beckman Laser Institute (BLI) is a 37,000 square foot multi-disciplinary center for research, teaching, clinical medicine, and technology transfer located on the campus of the University of California, Irvine. The BLI is a division in the Department of Surgery in the School of Medicine and an important unit in the Department of Biomedical Engineering in the School of Engineering. Also at UCI, this cluster is owned and operated by the School of Physical Sciences and is used mostly for parallel computing. Faculty groups outside Physical Science are asked to contact Physical Sciences Computing Group for more information on the system including how to become a faculty partner. There is no access for the general UCI user to the system. The Molecular Modeling Facility maintains Silicon Graphics workstations and many software packages for visualization, molecular modeling, and the calculation of properties of complex molecules. 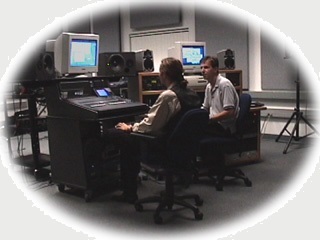 Training is offered to researchers in the selection and use of proper computational techniques for their research projects. Synthetic and biological chemists find computational modeling an important research tool for understanding experimental results and predicting reactivity and selectivity. A modern laboratory dedicated to research and education in areas of linear and nonlinear spectroscopy, ultrafast phenomena and unequilibrated systems, material science and characterization. 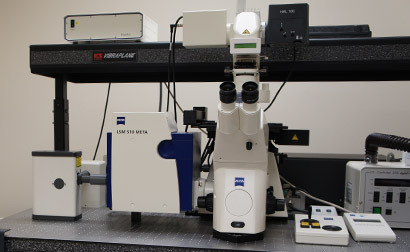 The Laser Microbeam and Medical Program (LAMMP), is dedicated to the use of lasers and optics in Biology and Medicine. LAMMP is located within the Beckman Laser Institute and Medical Clinic, an interdisciplinary biomedical research, teaching, and clinical facility at the University of California, Irvine. LAMMP activities span from basic science and technology development to clinical translational research. This is accomplished by combining state of the art Biophotonics technologies with specialized resource facilities for cell and tissue engineering, histopathology, pre-clinical animal models, and clinical care. 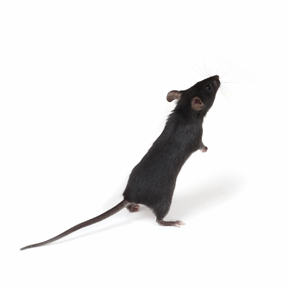 LAMMP programs include biophotonics modeling and technology development, basic science studies, instrument prototyping, and device testing in humans and animal models. Because of our facilities, resources, and expertise, we are able to rapidly move new concepts and technologies from blackboard to benchtop to bedside. The purpose of the X-Ray Crystallography Facility is to structurally characterize single-crystal samples of organic, inorganic, and organometallic compounds using x-ray diffraction. 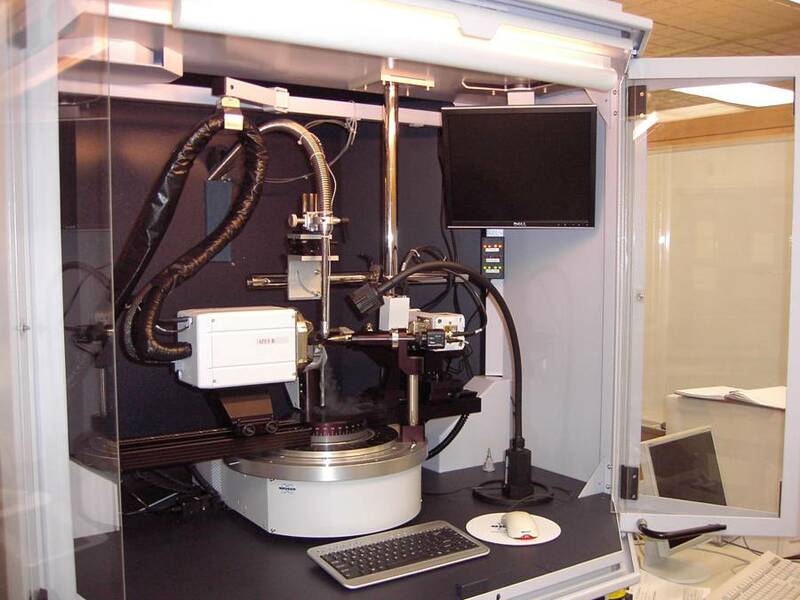 The modern equipment provides researchers the ability to conduct rapid structural analysis. X-ray diffraction is often employed as the primary means of characterizing complex structures. Students, post-docs, and professors are encouraged to conduct their own experiments after a short training period. 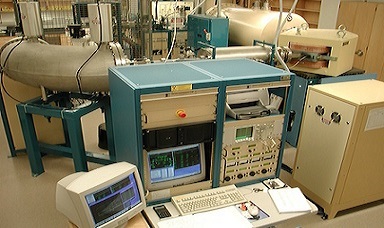 The Nuclear Magnetic Resonance Spectroscopy Facility provides a non-destructive analytical technique to many research groups in the department and outside. 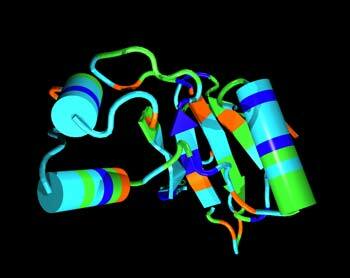 NMR is primarily used for structural elucidation of organic and inorganic compounds. The facility is equipped with four Bruker Avance spectrometers: one 600 MHz, two 500 MHz, and one 400 MHz. One of the 500 MHz spectrometers is equipped with a highly sensitive cryoprobe. A separate 800 MHz NMR facility is available to all users for biomolecular NMR and other challenging problems. An electron spin resonance spectrometer is also available. The Mass Spectrometry Facility of the Department of Chemistry provides analytical services on a wide variety of mass spec platforms. Open Access is granted to registered users for many of these instruments. MS Facility Staff provide additional support and guidance for more complex methologies, instrumentation and data analysis. Understanding the broad picture in gene expression requires proteomic analyses. The Q-TOF2 hybrid mass spectrometer and datasystem (MS/MS/DS) is of help in these analyses. The instrument is equipped with a database searching module for both proteins (BioLynx) and peptides (Proteinlynx) for manual and automatic searching of acquired mass spectometry data against sequence databases (DNA and Protein) in order to identify the unknown samples. IMRI operates a large number of open-access user facilities for the characterization of inorganic, organic, and biological materials and devices ranging from sub-Å to macroscopic length scales - available to all university, industry, and non-profit researchers. It offers advanced techniques and services including structural and chemical characterization in different length scales, 3D imaging, surface analysis, physical property measurements, and fabrication of materials and devices by a variety of techniques. The INRF Clean Room Facility is a class 1,000/10,000 facility, with class 100 work areas and with all major semiconductor fabrication equipment. It is set up to be used in a multi-user mode. Training, maintenance, and common supplies for all equipment is provided by the INRF. 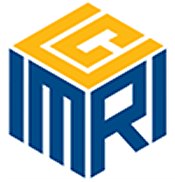 In addition to the clean room, further processing and characterization facilities are available through the individual research labs of UCI faculty affiliated with the INRF. All equipment and instrumentation in the INRF are available to all users (UCI faculty, faculty from other universities, undergraduate and graduate students and off campus users) on a recharge basis. Because of the ease of access to the laboratory, the available and extensive training, and wide variety of equipment and instrumentation, the INRF attracts a diverse group of users. BiON is a 4,000-square-foot, Class 1000 clean room dedicated to research and development of micro-nano devices using biological and organic materials. The facility contains tools uniquely capable of performing micro- and nanofabrication on materials such as polymers, hydrogels, collagens, proteins and even living tissue. These materials traditionally have been difficult or impossible to micro-machine since they require special care or unusual process conditions. Many of the manufacturing techniques used in BiON have been developed as experimental processes by researchers in smaller laboratories at UCI and elsewhere; these will now be available to the BiON community at large. This facility allows researchers at UCI and throughout Southern California to develop new technologies and products for environmental, life science and medical applications. The facility supports ongoing work in the areas of bio/nanotechnology, advanced materials, BioMEMS, environmental sensors, medical devices and biological research. RapidTech is our state-of-the-art manufacturing facility, in support of research, education and industry outreach. 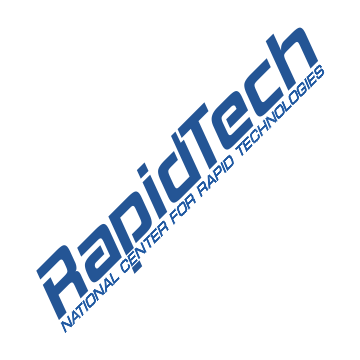 Located over more than 5,000 square feet in the Engineering Tower, RapidTech provides equipment and expertise in a variety of advanced manufacturing technologies, with a strong emphasis on additive manufacturing techniques. 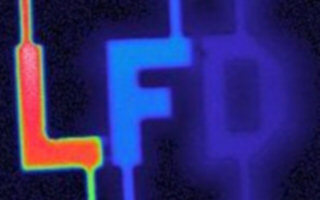 The Laboratory for Fluorescence Dynamics (LFD) is a national research resource center for biomedical fluorescence spectroscopy, supported by the National Center for Research Resources (NCRR, 5P41RR003155) and the National Institute of General Medical Sciences (NIGMS, 8P41GM103540) divisions of the National Institutes of Health (NIH) and the University of California, Irvine (UCI). 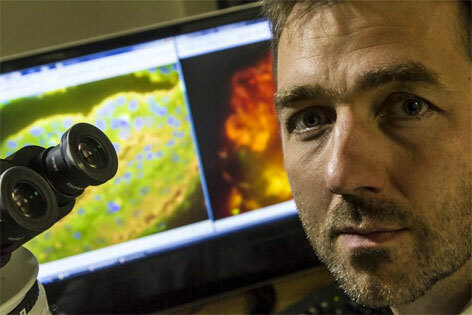 The founder and Principal Investigator of the LFD is Enrico Gratton. The Co-Investigator is Michelle Digman. The UCI Libraries offers a DMPTool to help researchers meet NSF requirements for a data management plan, and stands ready to assist grantees in identifying the options for sharing research data in an institutional or discipline-specific repository. Instructions and resources to help the UCI research community comply with the NIH Public Access Policy. Contact for NIH Public Access Policy questions: nihgroup@uci.edu. Contact to request an NIH Policy Compliance workshop: Bethany Harris, harrisbr@uci.edu, or (949) 824-6957. Managing research data: Tools & resources Research Data is data generated in the research process. This subject guide delineates discipline-based research data repositories to help researchers and faculty seeking more information about potential repositories where they may be able to deposit their research data.